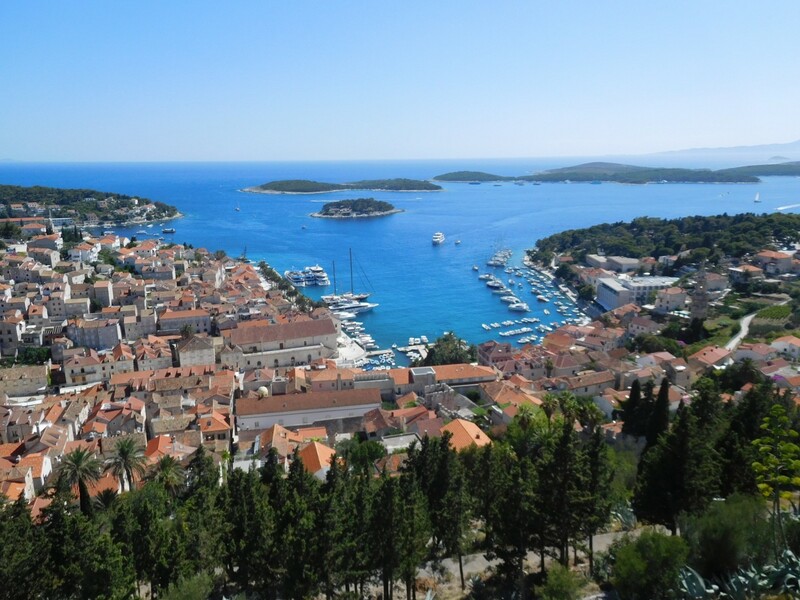 2017 is coming to an end soon and I’m grateful to have visited some amazing destinations this year, which can be seen in my 2017 globetrotting year in review post. There you can see that Iceland was indeed my top destination of the year. Iceland, which offers some of the most stunning landscapes from fire to ice, is a unique location which I highly recommend for people to visit in the upcoming year if you’ve never been. 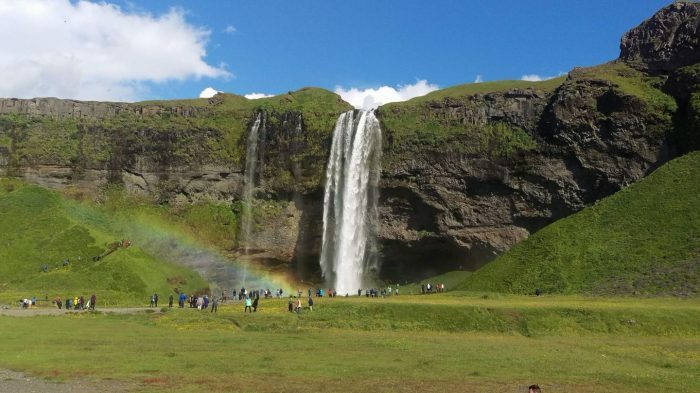 In this list, I discuss some of the top places to go and things to do while you visit the land of fire and ice Iceland. There are so many amazing activities to do and things to see while in Iceland. 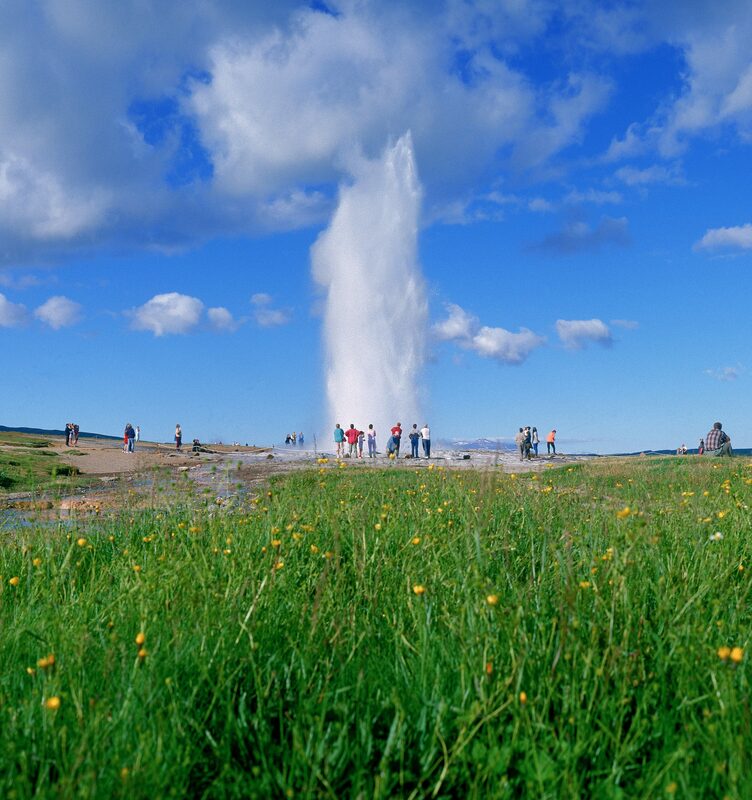 From the Guide to Iceland’s top ten tours in Iceland, I highly recommend one of the most popular tours in Iceland, the Golden Circle Tour. If you don’t do anything else while in Iceland, a drive around the Golden Circle is a Must! Your eyes will behold amazing sites such as the Gullfoss Waterfall, the UNESCO world heritage site Þingvellir National Park, and the awe-inspiring geyser Strokkur. Strokkur erupting. Image via Guide to Iceland. 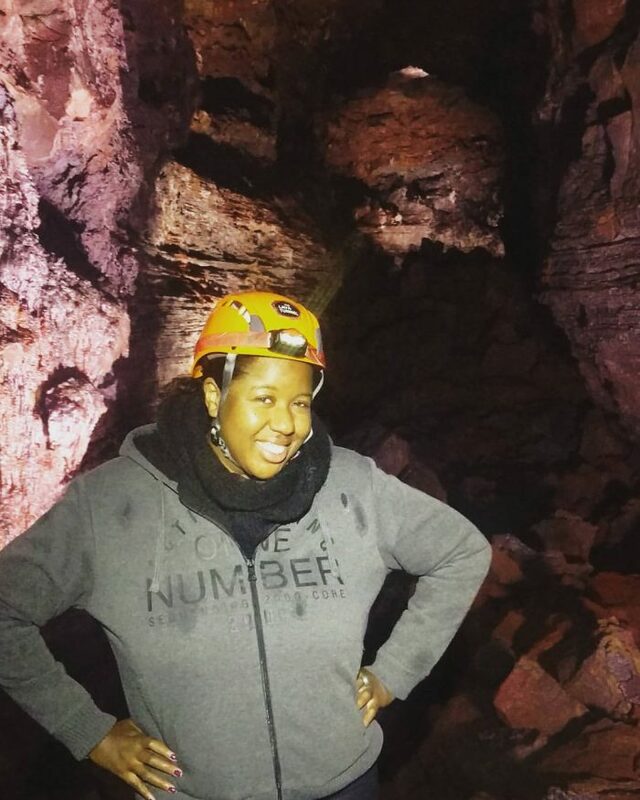 One of my favorite experiences during the iluv2globetrot Iceland meet-up was for sure exploring an inactive volcano lava tube caving in Raufarhólshellir cave with the Lava Tunnel! It is one of the longest and best-known lava tubes in Iceland, being located just 30 minutes from Reykjavík. It was an easy tour to do on my last day in Reykjavik. Where else can you enjoy exploring inside of a 5,000-year-old inactive volcano cave! 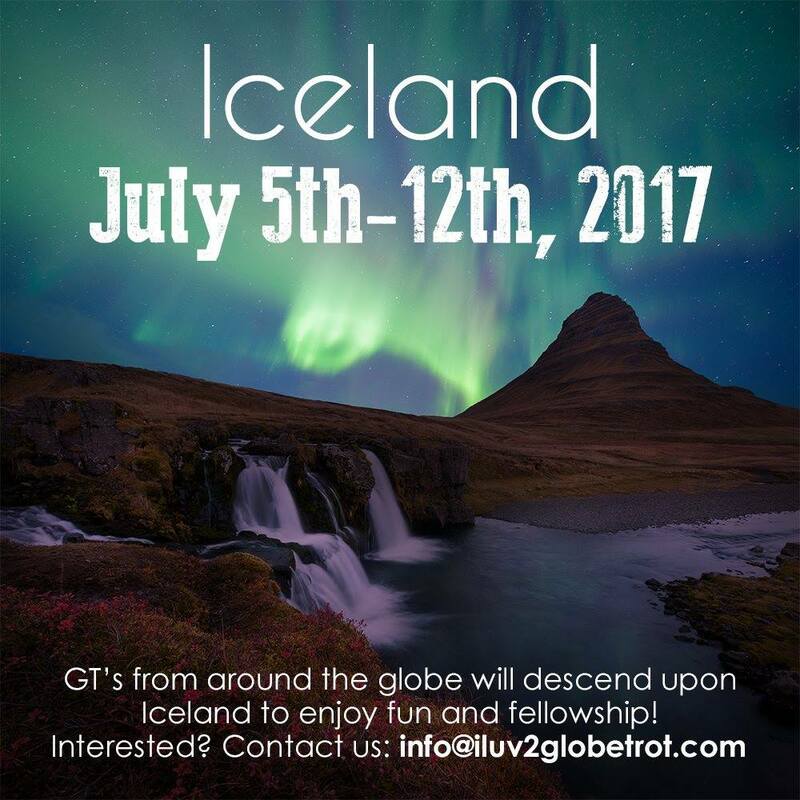 The tour takes about an hour, so it’s perfect for those short on time but want to experience the best that Iceland has to offer. No list of recommendations would be complete for visiting Iceland if it doesn’t include a dip in the famous Blue Lagoon. This is a surefire way to relax after exploring a blustery cool tunnel underground. 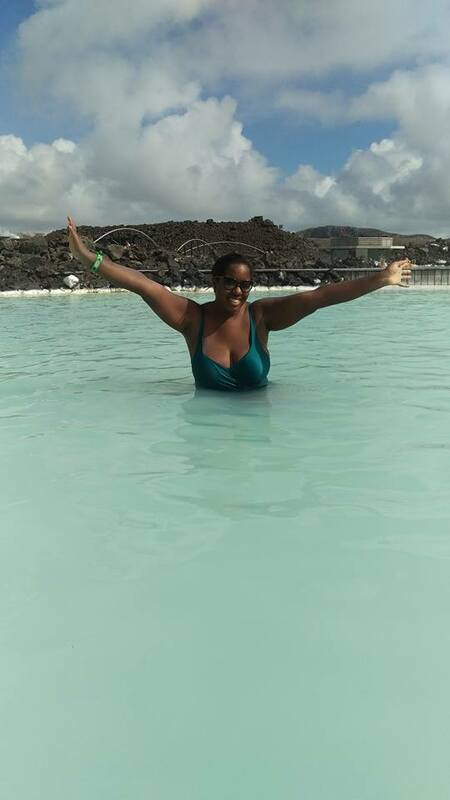 I wanted to thoroughly enjoy the health benefits of soaking at the Blue Lagoon, so I stayed for the majority of the day during my visit. It is one of the 25 wonders of the world for a reason. The decadent geothermal spa offers several packages. I choose the premium package which included algae and silica masks, a plush robe (which is totally needed after you step outside of the 90F waters) and a cocktail from the floating bar located directly in the lagoon. I for sure hope to go back someday because that is how one pampers themselves! Speaking of world wonders, Seljalandsfoss Waterfall, Iceland made CNN’s list of the 50 awe-inspiring natural wonders for your bucket list! Another magical destination to see while in Iceland are these commanding falls. The Seljalandsa River drops 62 meters down this massive cliff, making it a sight to see. If you are brave enough (sadly I wasn’t) to walk behind the falls, this is one of the few destinations where you can get that up close and personal with a breathtaking waterfall to go around it. As an architecture fan, I was very excited to see the dynamic Harpa concert hall in downtown Reykjavik. It features unique glass designs that are comparable to the basalt columns which are displayed throughout Iceland. It is the cultural hub of Iceland featuring concerts by artists from far and wide, as well as plays and more events. 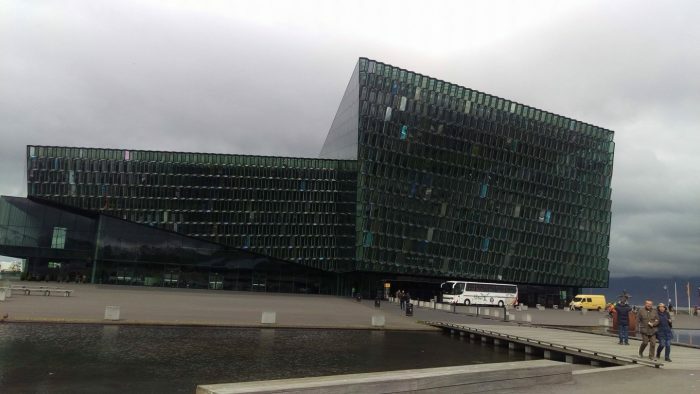 For those looking to explore more sites in and around Reykjavik, the Harpa concert hall is also one of the first stops for the hop on/hop off bus as well. Skaftafell Park definitely is the site which shows off the land of fire and ice the most. 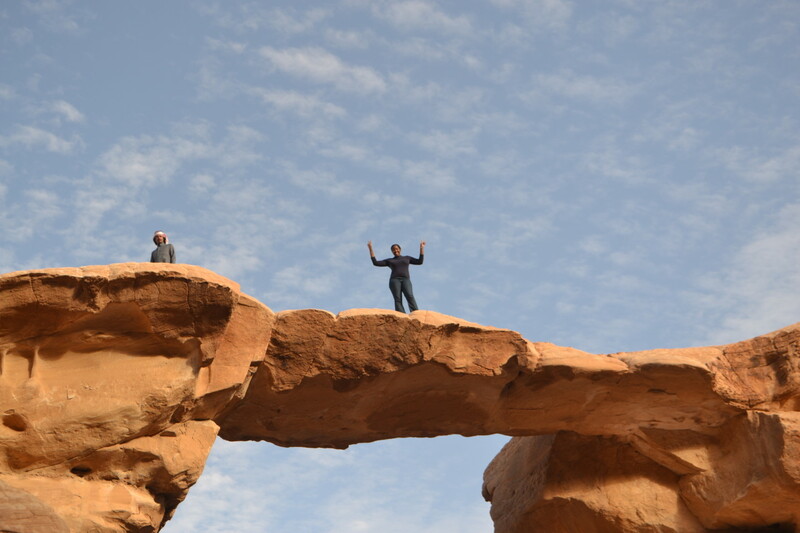 It boasts a size of 4,800 square kilometers and has quirky and surreal structures which look outer worldly. The wilderness area is located in Iceland’s Vatnajökull National Park. The park is great for hiking and camping. It is recommended spending at least few days there, as accommodations are available for those who do not wish to brave camping in the cold. The famous sky blue glacier lagoon Jökulsárlón is also nearby. The spellbinding beauty is a sight to behold, with an array of picturesque ice mountains surrounding the area. While I did not manage to witness the Northern Lights during my visit to Iceland this summer, one of the most known visual displays to see in the land of fire and ice is, of course, the amazing light show. We had the midnight sun instead which is another sight to see if you’re lucky enough to visit during this time. In order to view the Northern Lights or auroras (dancing lights), it’s best to visit Iceland from the months of from early September to the end of April. Nevertheless, no matter what time of year you visit Iceland, you’ll be blown away by the dynamic beauty that it has to offer all year long.